Railpictures.ca - Cameron Applegath Photo: VIA 86 is seconds away from gliding over the newly installed diamond over the OBRY at Brampton, mile 15.6 CN Halton Sub. | Railpictures.ca – Canadian Railway Photography – photographie ferroviaire Canadienne. Copyright Notice: This image ©Cameron Applegath all rights reserved. 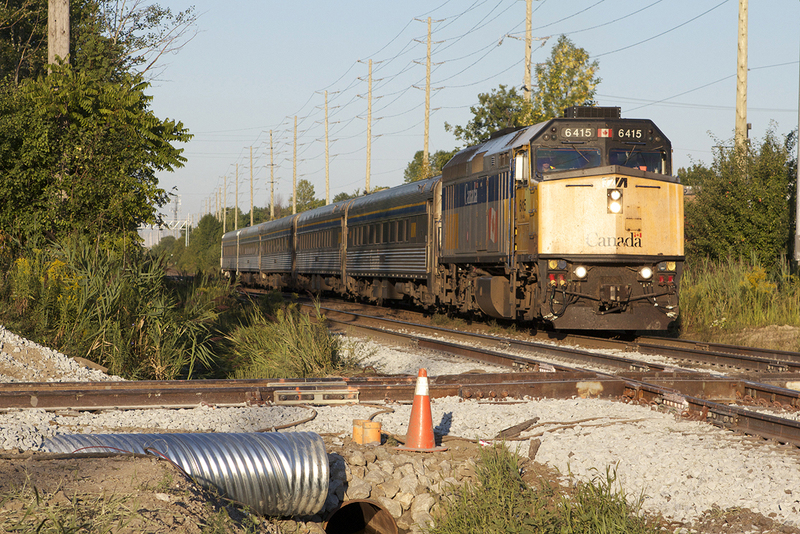 Caption: VIA 86 is seconds away from gliding over the newly installed diamond over the OBRY at Brampton, mile 15.6 CN Halton Sub.